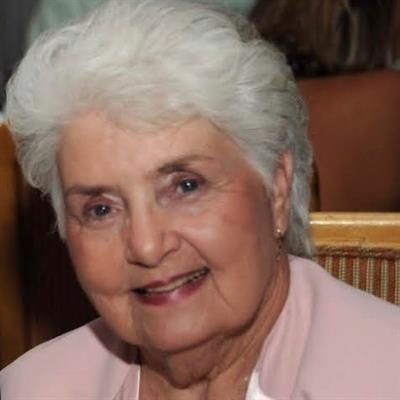 Polly Howard, 86, of Bryan passed away Monday, January 28, 2019. Visitation will be Saturday, February 2, 2019, from Noon to 2PM at Callaway-Jones Funeral Home, 3001 South College Avenue, Bryan, Texas. Memorial service will be at 1 PM on Wednesday, February 6th at Hainesville Baptist Church in Wood County, Texas. Born, October 25, 1932 in Hainesville, Texas, Polly lived most of her adult life in Bryan, Texas. Preceding her in death was her husband of 64 years, J.L. Howard. Polly was the last in a long line of Lindley's from Hainesville, Texas - she had 5 brothers and 3 sisters - who all preceded her in death. Polly is survived by son Rick (Kathy) Howard of Weatherford, son Randy (Belinda) Howard of Bryan and daughter Beverly Miner of Northlake, grandson Luke (Megen) Howard of Bryan, granddaughter Brooke (Brandon) Rogers of Denton, grandson Jason (Morgan) Miner of Denton and six precious great grandchildren, Hadley and Hudson Howard, Brylee and Bryson Rogers, Landry and Grayson Miner. Polly graduated from Mineola High School in 1950 and was voted Class Favorite her senior year. Polly met the love of her life J.L. Howard while he was building the road in front of her family home in 1949 and they married on January 10, 1953 in Hainesville, Texas. Polly enjoyed being a wife and mom but loved working - so much so, that she worked all her 86 years in one way or another. The family moved to Bryan in 1966, and in 1968 they purchased a bookstore where Polly loved serving her customers for over 20 years. She continued working various business roles and volunteering over the next 30+ years. Two of her more recent and favorite included working at Hilltop Lakes Chapel and The Bridge Ministries. Polly was also one of the first women to ever serve on the board of the Bryan College Station Chamber of Commerce and to serve on the board at Briarcrest Country Club. Polly and J.L. enjoyed golf, together and individually - winning multiple championships. She enjoyed cooking throughout her life but developed a passion for quilting late in life and made many beautiful quilts over the last several years. A special thank you to Jan Ash, from Hilltop Lakes, who provided care and comfort for Polly in the last few months. Also, a thank you to Hospice Brazos Valley for their care and support, during her illness. In lieu of flowers, please consider a memorial donation to Hospice Brazos Valley, 502 West 26th Street, Bryan, Texas 77803.